Clara Haider is a biomedical engineering student at the TU Wien. In early 2017, Haider was an intern at the university’s Automation and Control Institute (ACIN). Her resulting bachelor thesis focused on object tracking and inverse kinematics with the humanoid robot Pepper. She is a member of H.A.U.S. 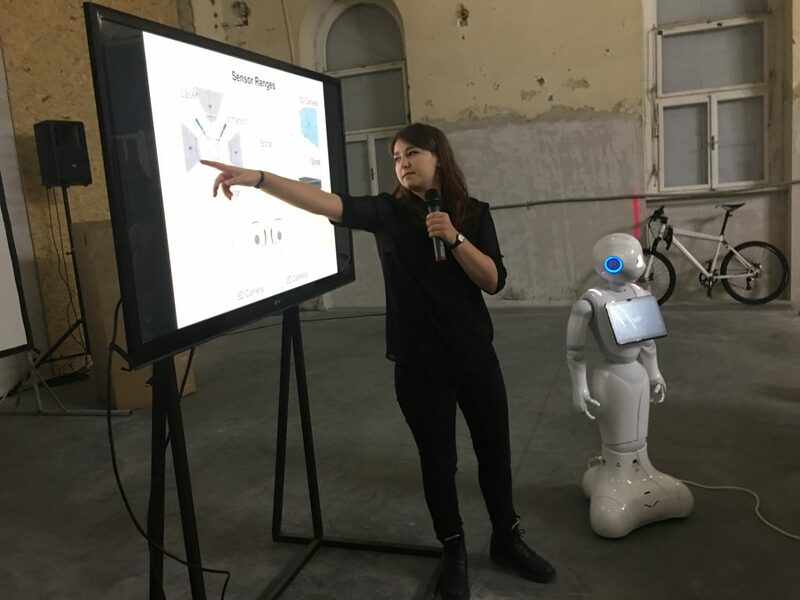 and was part of planning and implementation of the performance „The Robot is Present“ for the Ars Electronica Festival 2017. Haider continues as a scientific project assistant at the ACIN’s Vision for Robotics group.